If you’re looking for cars for sale in Milton, visit Budds’ BMW in Oakville today. We’ve been proudly serving the community of Milton for years, and we’ve been rated one of the top automobile dealerships in Ontario. Whether you’re looking for a new or pre-owned vehicle, we have something for you. Visit our online showroom at our website today to help you make an informed decision before you come visit us. Or, if you prefer to speak to one of our friendly client representatives, feel free to call us at your convenience. 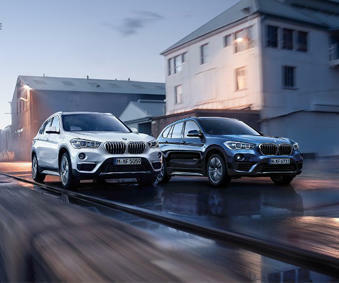 We understand that searching for a new or pre-owned vehicle can be stressful and time consuming, so we do our best to make your experience with Budds’ BMW easy and enjoyable. You can search for your dream car in the comfort of your own home by using our user-friendly menus that will allow you to find the best financial plan and most appropriate vehicle for your lifestyle. One key feature that will make looking for cars for sale in Milton more exciting is our media page. Use the drop-down menu on our website to visit our YouTube channel and you can watch Budds’ TV where we feature some of the top driving instructors in the industry. Here you can watch videos and learn about driving our high-performance vehicles. You can also learn more about Budds’ BMW as a company and the ways in which we proudly serve our community. Another helpful feature on our website is our appointment booking system. By selecting our New Vehicles drop-down menu or our Services menu, you can easily book an appointment to test drive one of our high performance new or pre-owned BMW automobiles today. To book an appointment to discuss cars for sale in Milton, simply select the menu option and provide us your name, contact information, and your preferred appointment date, and we will be happy to assist you on your journey to purchasing a top-quality BMW vehicle. When looking for cars for sale in Milton, it is important to connect with knowledgeable and friendly individuals. At Budds’ BMW we pride ourselves in selecting some of the most knowledgeable people in our industry. With 75 years in the automobile industry, we are confident that we can answer all of your questions about our premium new and pre-owned vehicles. We love what we do at Budds’ and we are always excited to connect with members of the Milton community and assist them in bringing home their dream vehicle. If you’re looking for cars for sale in Milton, visit Budds’ BMW Oakville today to browse our selection our top-quality SUVs, sedans, coupes, pickup trucks, and sports cars. We look forward to helping you!